I recently begin to explore a healthier diet to include more fibers and whole grains. But we all know healthy foods don’t always equal deliciousness and good taste. It takes a few experiments in my kitchen to find a way to make healthy nutritious multigrain flatbread. I usually buy different high fiber whole grains from Sprouts and Wholefoods market and mix everything together in a big jar later. Top choices are but not limited to kidney beans, split green peas, yellow peas, barley, oats, wheat berries, lentils, wheat bran, flax seeds, and so on. Add 2 cups multigrain mixture to a Vitamix blender dry container. Grind on high speeds for 20 to 30 seconds. Super freshly ground multigrain flour! 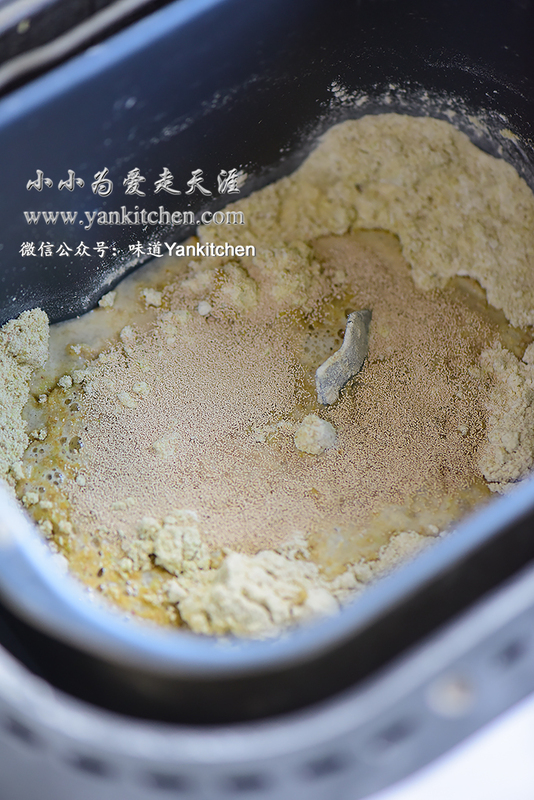 Add 200g multigrain flour and gluten flour to a bread machine. Add warm water and yeast. Let it sit for 5 minutes. Add vegetable oil and salt. Start “dough” program. The dough may appear quite dry and rustic at first. 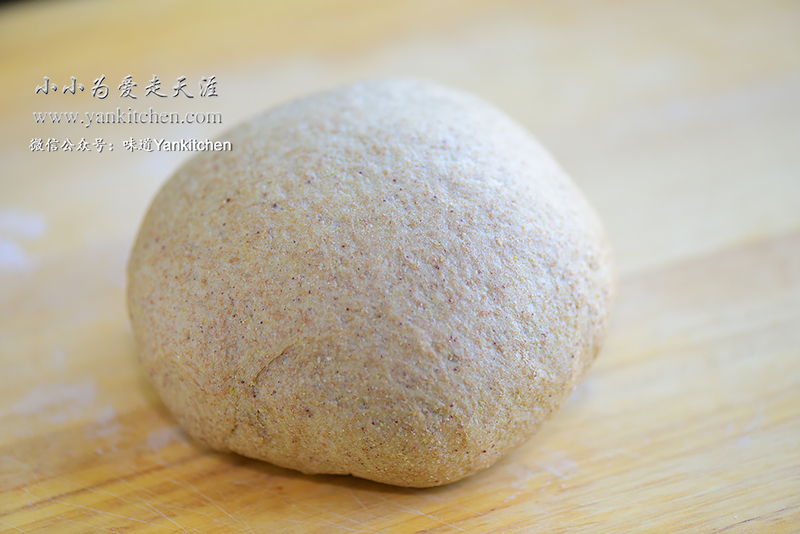 After 15 minutes’ kneading, it becomes smooth and elastic. Proof the dough until it double in size. Transfer to a lightly dusted wooden board. Equally divide the dough into 12 pieces. With a small rolling pin, flat out each piece into 1/4 inch flat bread dough. Cover with plastic wrap and proof for another 10 to 15 minutes. Preheat a double sided electric griddle skillet. Add 4 pieces of flatbread dough. Bake for 2 to 3 minutes. Each batch is done quickly and perfectly. They are 100% real multi-grain flatbread, and taste so much better than the store bought version. When piping hot out of the griddle, they are fluffy, soft and a little bit chewy, with tons of grain aroma.